Our dental practice treats patients of all ages in a family-friendly and comfortable atmosphere. Dr. Sunil Kumar and his staff take time to listen to each patient to thoroughly to understand their dental health goals before developing a customized treatment plan to meet their needs. Fairmont Dental Associates offers a wide selection of family and children's dental services in Allentown and the surrounding communities. 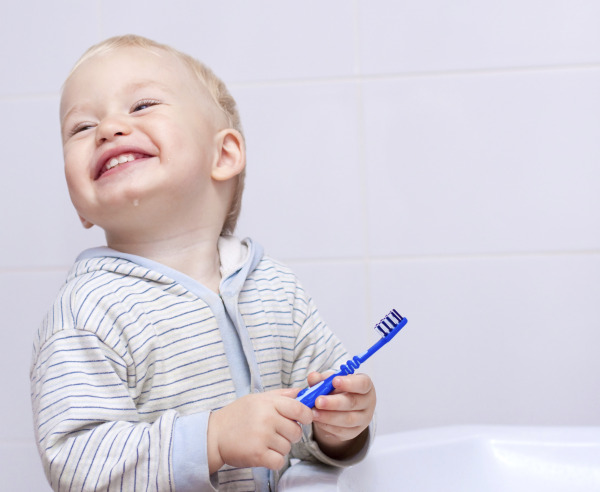 Our Allentown dentist uses state-of-the-art equipment to care for your child's teeth and gums. By conducting regular cleanings, potentially harmful bacteria is removed, reducing the risk of tooth decay and gum disease. This helps patients of all ages maintain their dental health, however, children are particularly susceptible to cavities and may need additional help in keeping their emerging smiles healthy. For these patients, our Dr. Kumar provides fluoride treatments and sealants. Fluoride is able to remineralize teeth, keeping the enamel of the teeth strong and reducing teeth’s susceptibility to decay. Sealants are wraps that guard the teeth against food particles and bacteria, reducing the risk of decay for our Allentown pediatric dental patients. By these efforts, Fairmont Dental Associates helps all members of your family maintain a healthy smile in a caring manner. Dr. Kumar is committed to caring for your entire family and has maintained positive relationships with his long-time patients by establishing a foundation of trust. There is nothing more satisfying to our entire team than watching our young patients grow up and bring their own children to our Allentown dental office for their care. Many of our patients have shown appreciation for the way our dedicated dentist taught them how to make home dental care into quality time, a practice that helps your child build pride in their smile. Fairmont Dental Associates provides quality family and children's dental care in Allentown and the surrounding communities. For more information on how we can help all members of your family, of any age, with the dental care they need to achieve healthy smiles, call us today.